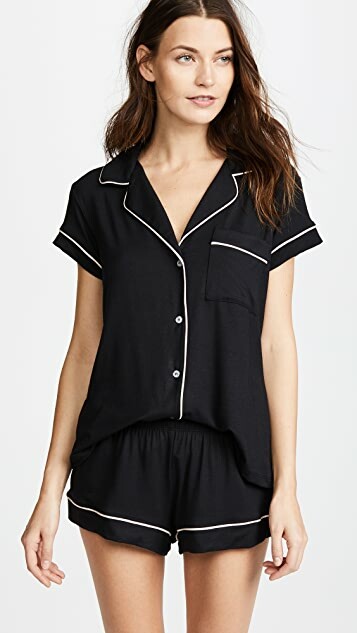 A classic Eberjey pajama set cut from super-soft jersey. 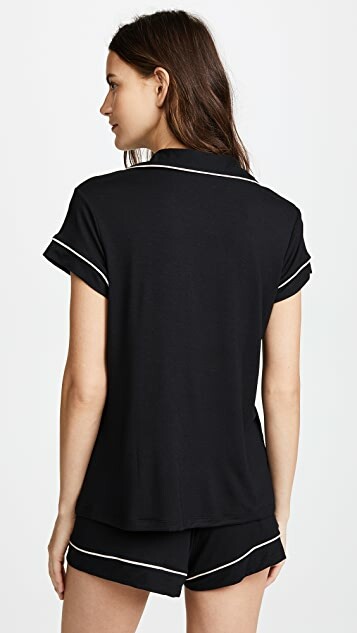 The short sleeve top is detailed with notched lapels framing the V neckline. Patch breast pocket and contrast piping. Matching tap shorts with a covered elastic waistband. 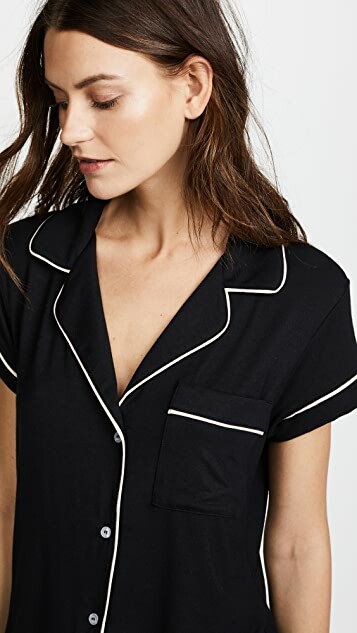 While these PJs fit nicely and are made of nice material, the buttons on the top don't stay done up meaning you wake up in the night with your shirt undone and in discomfort. Would not recommend buying them. While the pajamas are wonderfully comfortable, they do not stay on. The buttons do not hold and the top is constantly falling off. I wish I could return them for this reason, but due to Shopbop's policy, unfortunately, I can't.